David Cameron has moved to raise awareness of dementia by organising training which will allow Cabinet members to help people with the condition. The Prime Minister, who is already a trained dementia friend, made the announcement as part of his bid to encourage people across the UK to volunteer. Describing reaching out to other people as "hugely important", the Prime Minister said that loneliness is a huge issue in the UK, with many people living alone with no family structure in place to help and support them. 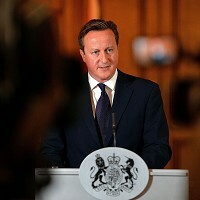 Mr Cameron said that communities across the UK need to become "more dementia-friendly". He also admitted that more research into dementia and improvements in the NHS are needed to allow Britain to help people with the condition. If you have a relative or loved one with dementia, why not help them by taking care of their social and holiday needs, including organising travel insurance? Our policies provide affordable cover tailored for people up to the age of 100 who are living with Alzheimer's or other dementia conditions. :: Dementia Friends is an initiative organised by the Alzheimer's Society. :: A dementia friend comes from a business, community or organisation which is likely to have contact with people living with dementia. :: Organisations can encourage workers to sign up for dementia friends champions training, which means they will then be able to engage further dementia friends within their workplace or community. :: Each dementia friend training session lasts for about one hour. Sessions are available across England. :: Training allows a dementia friend to experience a little of what it's like to live with dementia, and then hopes to turn that understanding into action. :: Actions which can benefit dementia sufferers can be as simple as helping them catch a bus, to spreading the word about the condition on social media platforms. :: Dementia friends may also support a friend or relative affected by dementia, or raise funds for a dementia-related cause.